Many cyclists can be considered minimalists; I would certainly consider myself one. Whether it is single ring chainrings, tiny saddle bags, pocket size multitools or stuff sack gilets; I love a product that serves its purpose well, but does it with minimal fuss and flamboyance. Bellroy products instantly struck a chord with me then; they're a brand that is all about cutting back to the bare necessities, but still doing it with a luxury focus. The Elements range is their set of products tailored for the outdoor enthusiast, and made to deal with wind, rain and daily grit; ideal for cyclists! 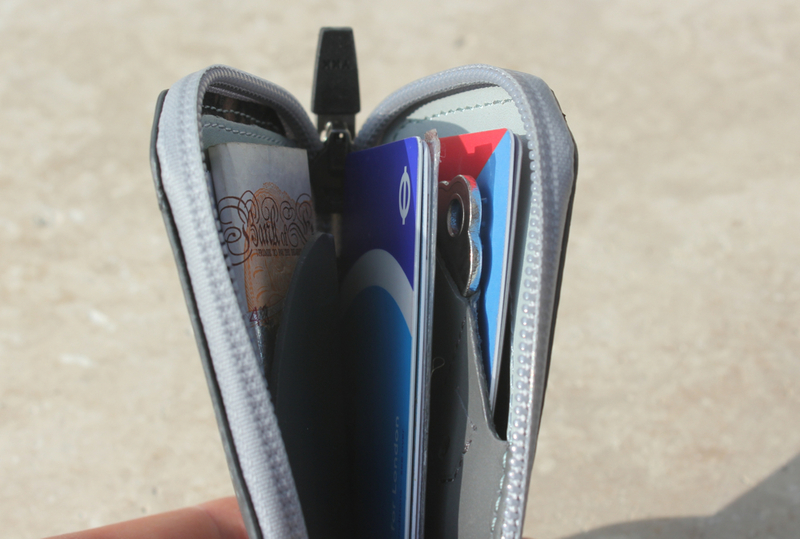 Sat in the middle of the Elements range is the Elements Pocket; not quite as minimal as the Elements Sleeve, but still a significantly smaller size than a normal wallet. It is meant to be able to provide you with all the functionality of a normal pocket wallet, but without the wedge-like appearance that many modern wallets have adopted. 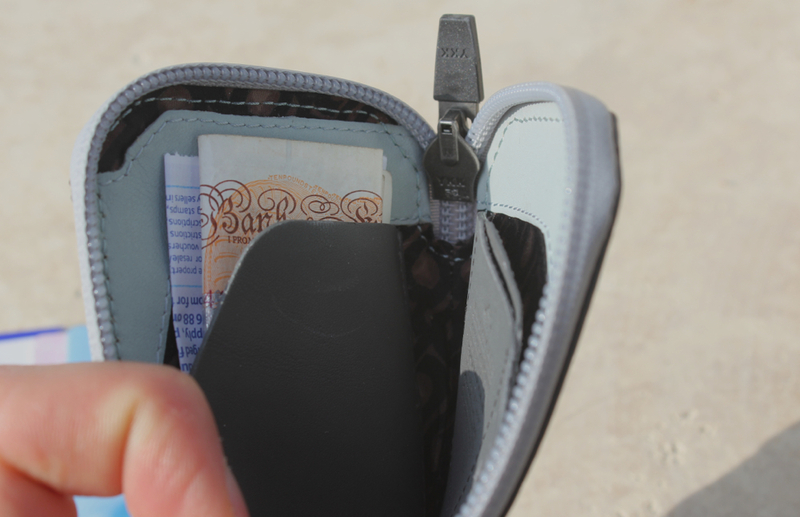 The Elements Pockets claims that it can swallow a lot, considering its size: cash, 4-15 cards, notes, a house key and even a sim card should all fit into its compact water-resistant interior. I couldn't quite believe it, but it turns out it works! As the tweet on the right shows [click the image to expand], everything (I mean everything!) 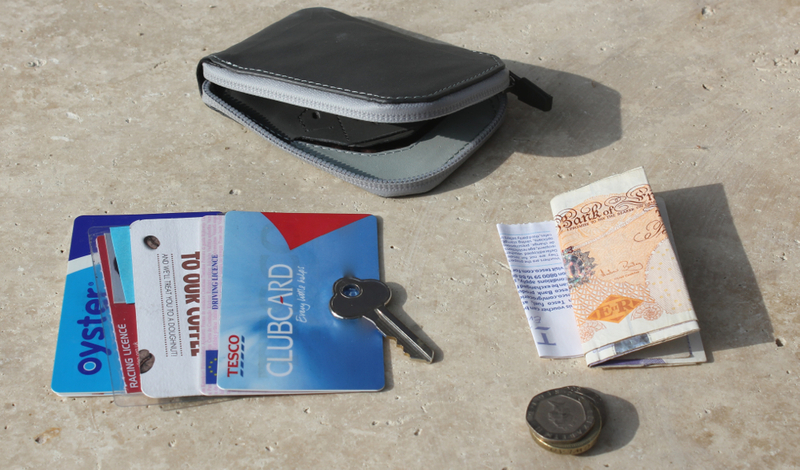 from the wallet on the left fitted into the Elements Pocket on the right! How?! By stripping back material, and completely redesigning how a wallet is shaped, Bellroy are able to cut back on excess leather and materials, and really slim down your pocket. What's the benefit for a cyclist though? 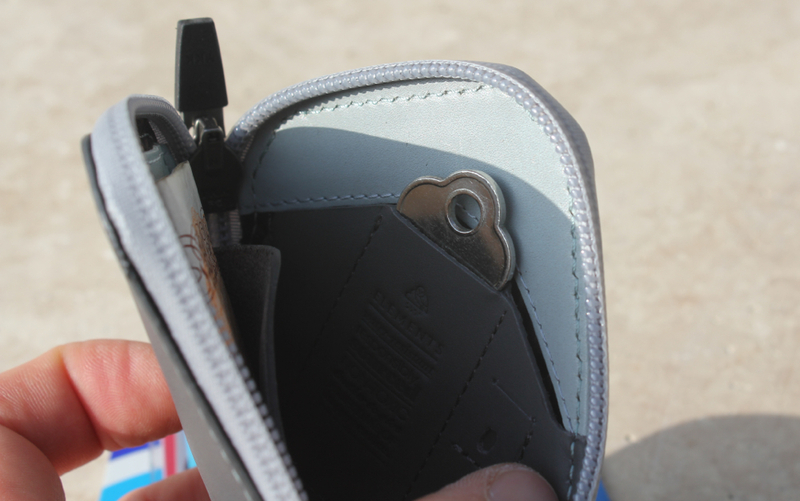 Once all the items are safely housed inside the pouch, you can seal it closed with the water resistant YKK zip. The unique Bellroy water resistant leather then provides protection from sweat, rain and dirt that could try to infiltrate your collection of valuables. 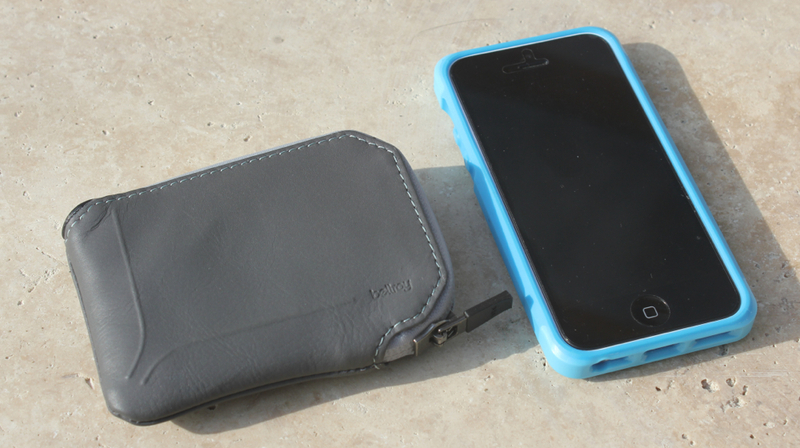 The pocket really does look the part, and functions faultlessly for its intended use. Put it in your jersey pocket for a ride to the store or café, and you'll barely notice it's there. But, when you do come to take it out, you'll notice it's done its job; cards, notes and coins are left sweat, water and dirt free inside the pouch. Far better than handing the shop owner a soggy twenty pound note, or a moist handful of coins. Being able to stash other extras in there such as a key and a sim card is also a neat benefit, and means that there is no risk that you return home after a long, cold and wet winter ride, only to realise you've locked yourself out (I've done that - it's not nice). 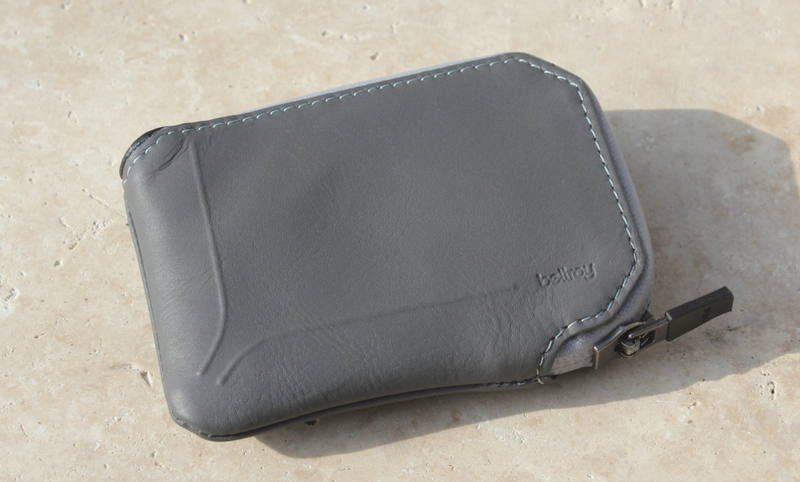 The look, feel and function of the Bellroy Elements Pocket are superb then. 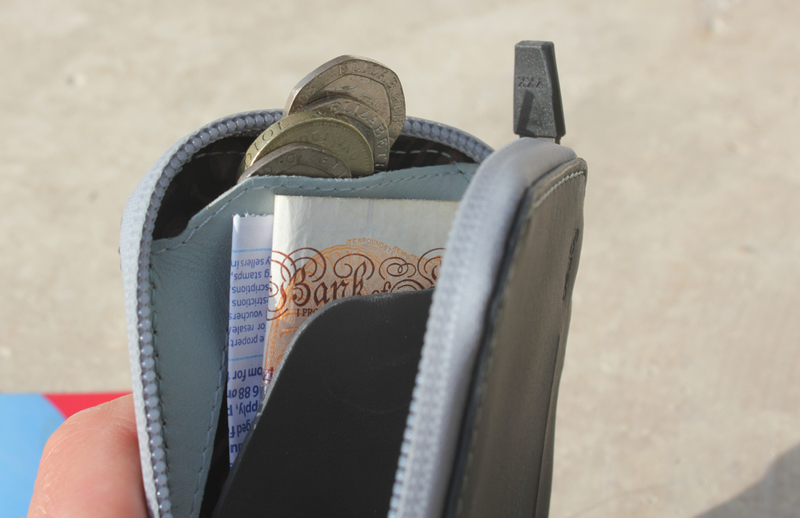 It will set you back £65, but that is little different to any other leather wallet, and this has some significant added benefits. If you're looking for a gift for a minimalist cyclist; someone that wants to keep things neat, stylish and trim, this would be a great option. 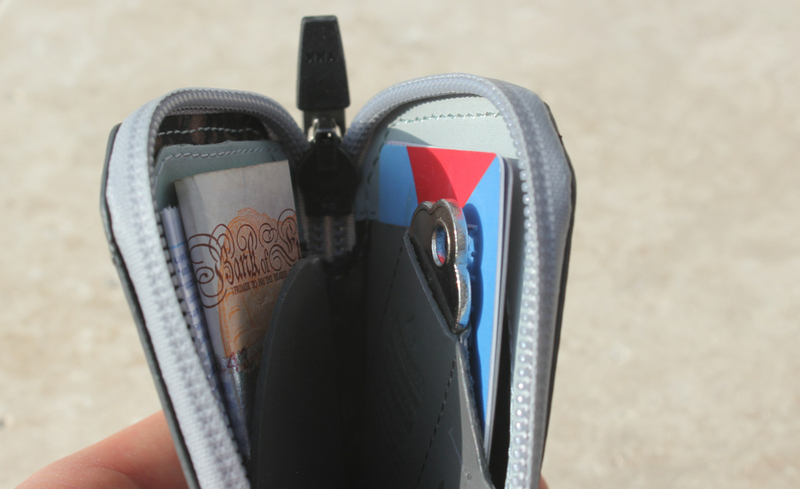 Bellroy is a new brand to me and to the blog, but with ideas like this I reckon they could really hit it off with the cycling world; products that are made for the outdoors, whilst also looking and feeling like a stylish high class product. All in... and still smaller than an iPhone, and about as slim. Impressive.